Here you can get complete information about How to Join PaK Navy After 10th Class, Inter, BA, BSc and Master 2018. Pakistan navy is catering students of all qualifications, opportunity to the students of different education level are welcomed here. Only the main characteristic for the candidates is that they should be mentally and physically fit. Many of interested candidates who have to well qualification and want to take part of any defence force but due to unintelligibly and don’t how know about applying or join Pak Navy after matric or 10th class, intermediate, BA, BSc and Graduation, Master programs. So now that time they all respected users can easily find out complete way for join Pakistan Navy force. 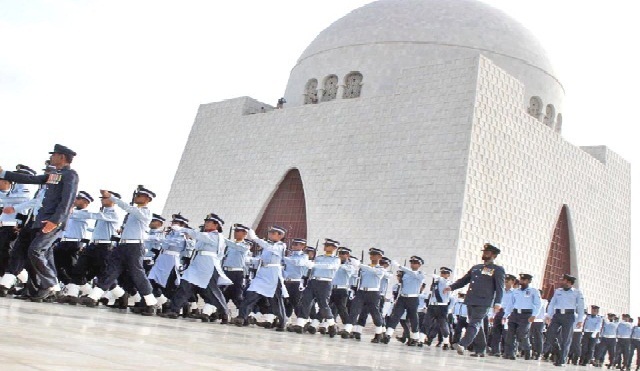 Many of the peoples has wishes to join Pakistan Navy and sacrifice their life for nation and their families. Here we are mentioning some information regarding joining Pak Navy after completion the various degrees of the students. All the interested, eligible, self motivated and intelligent candidates or students can participate the Pak Navy after taking all instruction from here online for join Pak Navy regarding your qualification. According to the various positions like that as PN Cadet for Permanent Commission, Sailors and officers all positions recruitment which are announced in a two times a year. After matric candidates can join Pak Navy as sailor. When candidates are selected as a Sailor so after complete selection PAK Navy has sent him for training in the New entry school at PNS HIMALIYA. According to the qualifications ranked or posts are boost in Pak Navy. They can apply at different stages of their life whenever they think that they are ready. Here below I will be mentioning the departments of Pakistan navy and the qualification required to that department. Matric candidate can apply for the various Vacancies for the Pakistan Navy in the Mechanical Transport Driver ( MTD ), Non-Technical Sailors – Musician, Non – Technical Sailors – Naib Khatib, Technical Sailors (OPS, ME, WTR, Store, Medical and Aviation), Female Medical Technician, Non-Technical Sailors: Naval Police and Non-Technical Sailors: Chef / Steward. Bachelors and Master program candidates can join the Pakistan Navy as a Supply Branch in the Department of SSC. And in the Medical Branch master candidates can apply and for education branch, Special Branch (Imagery), Special Branch (IT), Marine Engineering Branch also master candidates. And For the Bachelors Candidates Operations, Special Branch (Civil Engineering), Special Branch (Imagery), Special Branch (IT), Marine Engineering Branch and Occupational Therapist/Physiotherapist also and For the D. Pharmacy is the Pharmacist. You can also join Pak Navy after Intermediate, FA, FSc, ICS and ICOM in the various branches such as Operations, Weapon Engineering, Marine Engineering and Supply. You must have to get 60% marks in the different subjects such as Physics, Maths, Chemistry, Computer Science and Statistics. After Graduation you are able to apply through Pak Navy Volunteer Reserve (PNVR) so in this department male and female candidates are eligible. For join Pak Navy you must have to complete eligibility criteria procedure so you should be see complete information about regarding your qualification so then you will be able to become the part of Pak Navy. Only male candidates of Pakistan are allowed for join Pak Navy. According to the age limit candidates must have vary from 16 years to 20 so these age are applicable for any positions of Pak Navy except some positions such as MTD and Naib Khateeb. 16 to 24 years candidates are eligible for MTD branch but within 35 years candidates are eligible for Naib Khateeb. Only single marital status is suitable for Sailor. All the interested candidates can join Pak Navy through Short service commission in the various branches such as Supply, medical, education, operations, special branch (Civil Engineering or Imagery and IT), Marine Engineering and Phramcist regarding to their qualification. AoA I am under graduate student and i want to join the Pak NAvy Plz tell me can i join the operation field. i m pharmacist having 5 years pharm-D degree, i want to join pak navy as a pharmacist kindly tell me the procedure. 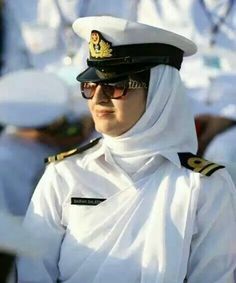 I want to join pak navy..i hv done bsc in botany zoology n chemistry .. plz tell me d way to join navy..il b wtng..
Mee Mariam sir I want to join navy.. Main NY ICS kia hua h.. And mari eyesight weak h m navy join Karna chahti hun kia navy ki ksi field m apply kr skti hun.. Plz reply sir..
main NY matric pass kia hai par Mary 627 number hai lakin 630 hona lazmi hai to kya main pak navy join Mar skta hun . main matric pass kia hai par Mary 627 number hai lakin 630 hony lazmi hai to kya main pak navy join or skta hun. AOA i have pas inter pre medical and i want to join navy kindly guide me how can i apply? AOA, I have passed my Matric examination securing 88% marks and I want to join Pakistan Navy. Kindly guide me how can I apply. Assalm o alaikum i want to join pakistan navy.. How could i apply for this and from where… i had done my inter with pre-engineering and i m waiting for my result… Please inform me soon…. Sir i want to join pak neavy after inter..
can i joinpakistan Navy after b.com (2 years) with 2nd division? sir i want to join pakistan navy..i have pass the inter per.eng,i am 20 year old..
i want join in Pak army.